Artistic production and dissemination are a vital component of the Music Initiative’s cultural development mission. Musical traditions are truly alive in a community only when they continually evolve to reflect the taste and interest of contemporary listeners. Seeking ways to represent musical heritage in contemporary artistic languages is the aim of the Music Initative’s new works commissioning programme. Since its inception, the Music Initiative has sought out exceptional “traditional innovators” whose combination of musical mastery and artistic curiosity supports trajectories of sustained creative development. Between 2004 and 2011, the Music Initiative recorded and filmed 10 such traditional innovators and groups of innovators for its 10-volume CD-DVD series Music of Central Asia, co-produced and released worldwide by Smithsonian Folkways Recordings (see full list of releases below). Music of Central Asia presents musicians who represent both a mastery of their own tradition and a spirit of innovation expressed through new approaches to performance style, repertory and technique. Several of these recordings feature newly commissioned works and new arrangements of traditional material for cross-cultural and interregional ensembles. 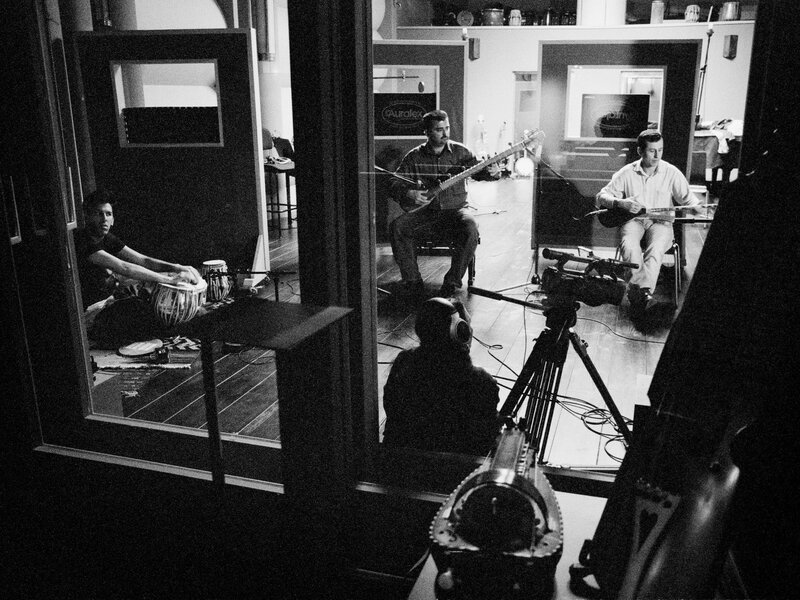 Examples include a new composition by Afghan rubab virtuoso Homayun Sakhi for rubab, string quartet, tabla and frame drum that Sakhi performed with the San Francisco-based Kronos Quartet; newly commissioned arrangements of Azerbaijani songs performed by the Kronos Quartet with Azerbaijani vocalists Alim and Fargana Qasimov and their ensemble; a collaboration between Chinese pipa master Wu Man, Uyghur vocalist Sanubar Tursun, and Tajik instrumentalists Sirojiddin Juraev and Abduvali Abdurashidov; and a collaboration between Homayun Sakhi and Indian santur player Rahul Sharma. Another venue for new works commissioning and creation is a series of interregional creative laboratories organized under the rubric Remix, which seeks to revitalise historical connections between musical traditions from North Africa and the Middle East, West Asia, and Central Asia by bringing together young musicians from these regions under the supervision of leading musical innovators for periods of directed creative experimentation. Remix provided the impetus for an ensemble called New Sounds from Arab Lands, which, with a commission from the Music Initiative, developed an extensive body of new work performed on a mixture of Middle Eastern and European instruments. A new phase of commissioning and creation began in 2014 with projects that include a set of songs performed by Kronos Quartet and Trio Da Kali, a group from Mali consisting of vocals, balafon, and ngoni; a collaboration between Syrian saxophone player Basel Rajoub and musicians from Iran, Italy, and Syria; and a project that will bring together musicians from historically nomadic cultures in North Africa and Central Eurasia. The Music Initiative has fastidiously documented concert and festival presentations, artist-in-residence and workshop programmes, recording sessions, creative laboratories, lecture demonstrations, and other forms of artistic production in which it has been involved in a curatorial and producing capacity. These documentary materials comprise a comprehensive digital archive of the Music Initiative’s work, and once meta-data tagging is completed, the archive will be made available through a searchable online database for research purposes. Music of Central Asia was co-produced with Smithsonian Folkways Recordings, and represents the first comprehensive series of newly recorded music (as opposed to licensed tracks) from the region to appear on a Western record label. Each of the ten volumes in the anthology includes an audio disc and a DVD with a documentary film about the featured musicians as well as a map, interactive music glossary, and short video that introduces the Aga Khan Music Initiative.